Click Film Hawaii Logo below to go to the Hawaii Film Office website. Hawai`i has been known as “Hollywood’s Tropical Backlot” for moving pictures, documentaries, featured films, and television series. Thanks to lush tropical settings, fabulous weather, and golden light, it has become one of the top film destinations in the United States and a leading performer in job creation for the state of Hawai`i. As one of six major creative industries, producers and filmmakers help spur economic development by contributing their ideas and content in television series, featured films, and commercials. Combined with interactive media, applied design, visual arts, literary arts & publishing, and performing arts & music, Hawaii’s creative industries represent $3.3 billion of the State’s GDP* as of 2015. Moreover, the creative sector’s collective impact includes 49,597 local jobs, which is a positive growth rate of nearly 8.9% since 2005. 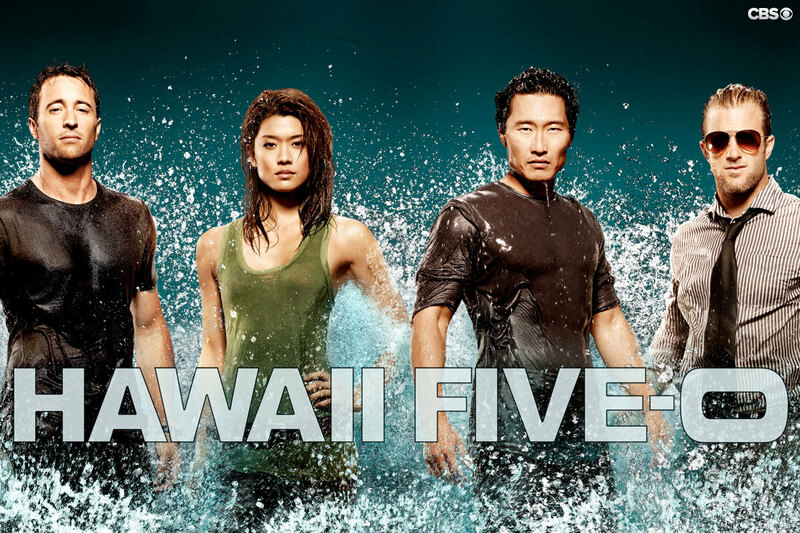 From the iconic cop drama Hawaii Five-O to the Oscar-winning classic From Here to Eternity, Hawai`i has played a major role in the history of film and television. Below are just a few of the organizations and resources available within the local film industry. Hawaii International Film Association (HIFA) – Local production coordinators experienced in working with foreign productions. Association members specialize in Japanese language services, film permitting, and visa and immigration processing. Hawaii Film & Video Magazine – A quarterly publication by Media Index, which provides timely information on Hawaii’s film and television industry and offers Hawaii’s production personnel and businesses a chance to advertise throughout the year. Hawaii International Film Festival (HIFF)– The premier international film festival of the Pacific region. The Creative Industries Division (CID) is the State’s lead agency focused on strengthening, advocating, and accelerating the growth of Hawaii’s creative clusters. As the business advocate for Hawaii’s culture and arts sector, CID supports initiatives, policy, and infrastructure to expand the capacity of Hawaii’s creative entrepreneurs. As a major branch of CID, the Hawaii Film Office (HFO) is committed to developing Hawaii’s film industry, which provides desirable jobs for residents, as well as opportunities to build the creative and technical skillsets of the local workforce. HFO was established in 1978 as the one-stop central coordinator for film and photographic use of state-administered parks, beaches, highways, and facilities. The State of Hawaii Film Office also provides location, tax incentive, and production resource information to filmmakers; manages the Hawaii Film Studio at Diamond Head; promotes Hawai`i as a filming destination; and develops the local film, television and digital media industries in the islands. Hawaii Film Studio – The state-owned Studio complex in Honolulu. In December 2013, Gov. Neil Abercrombie announced the release of more than $3.46 million in capital improvement project funds to support a new production and multipurpose building to support film operations. Showcase Hawaii – Business Plan – Showcase Hawaii Productions, LLC produced five short television segments featuring an industry mentor who provided examples and solutions to challenges facing creative entrepreneurs and businesses in Hawaii’s creative industry clusters. The segments were also shown on Contractor’s and CID’s websites and archived on Oceanic Time Warner’s Cable Video on Demand for further audience exposure. Creative Lab Hawaii Producers Immersive – A five-day program for producers in motion pictures, and television, followed with a one-year coaching program that supports participants in executing their material as individuals, and as a group. In partnership with the Producers Guild of America, the Producers Immersive is designed to empower producers to take their projects to the next level via one-on-one and small group coaching.